A 23-year woman has died in a crash in Ottawa's west end. 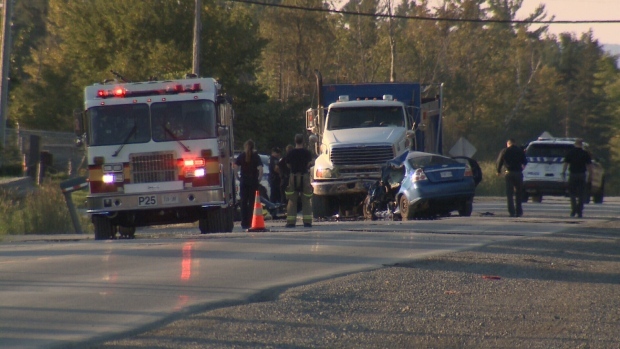 Ottawa Police say the woman's car was involved in a collision with a dump truck on Moodie Drive between Fallowfield and Hunt Club just before 5:00 p.m. Wednesday night. The driver of the dump truck was not injured.